Receive answers to team building questions, along with activities to increase job performance. 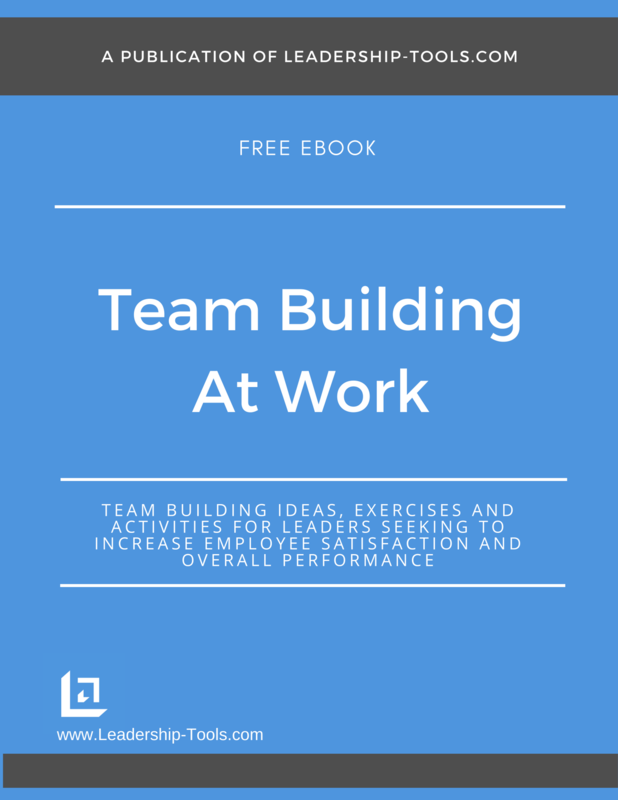 Our free eBook, Team Building At Work, provides powerful team building activities on a whole host of topics. 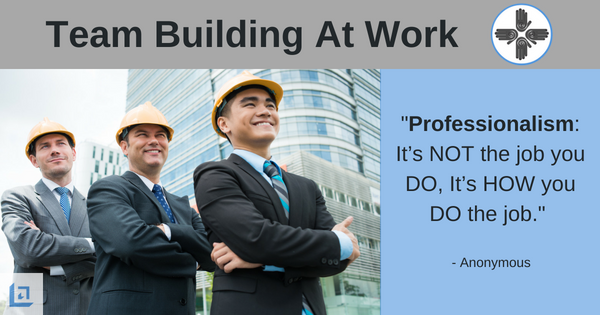 In this chapter we address the issue of professionalism in the workplace. It’s important for team members to discover and learn as a group so they can grow together for the purpose of building a stronger team. As team building questions are answered over time, team members better understand what's important to each other and what drives their respective performance. See if you can identify with the following scenario... From the time we get up in the morning we make important chooses about who we are. We choose the clothes we wear; perfume/cologne; women choose how they apply their makeup and men make a choice of wearing ties, shave vs. facial hair, etc. We choose the cleanliness of our automobile or the level of organization/disorganization we display in our work space. Professionalism is measured in large part by how others perceive you. It’s not about how much you spend on a suit, but the fact that your suit is nicely pressed, stain-free and that it compliments your overall appearance. "Professionalism comes down to managing perceptions and making thoughtful choices about appearance, manners and character." Professionalism is not about the kind of car you drive, it’s about the pride and care you take in keeping it clean and well serviced. Professionalism comes down to PERSONAL EFFORT. Smart and self-aware team members make the extra effort to ensure they are perceived well by others. In turn, those individuals will reap the rewards and benefits that go along with the increased credibility they earn in the eyes of their peers and supervisors. Our exercises answer team building questions and suggest effective activities you can present to the team in an effort to raise awareness on the subject of professionalism. Purpose: To teach team members the importance of keeping a professional distance between personal and workplace issues. Team building questions are asked and answered in an effort to elevate the level of professionalism in the work environment. Explanation: Everyone has experienced days where its difficult to not allow ones personal issues work their way into their professional environment. As the leader, it is your job to understand first and foremost that this is a common issue, so you must be consistent in how you deal with it. The key here is to address the issue before it actually happens by setting clear expectations of conduct and professionalism for your workplace. One creative manager went so far as to purchase a large golden coat hook. One morning he proudly stood by the shiny new coat hook as his team walked into the office one Monday morning. Later, during his morning staff meeting, as if on cue, one of his employees asked what the golden coat hook was for. With a smile and a nod, each team member understood the analogy and realized that his request was a perfectly legitimate expectation for the workplace. Team building questions around professionalism and other important topics can often be discussed and answered using short stories such as this one. "A professional is a man who can do his job when he doesn't feel like it. An amateur is a man who can't do his job when he does feel like it." 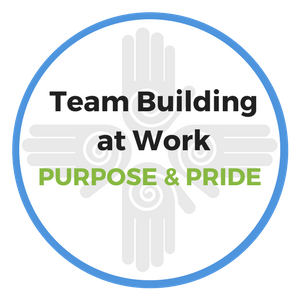 Purpose: To raise the awareness and the commitment of your team members by pointing out the rewards that come from raising one's personal expectations of yourself. Explanation: Demanding more of yourself is a key trait of successful leaders. Michael Jordan credits his success to the fact that he has always demanded more of himself than any coach or teammate would ever reasonably demand. Leaders who excel in business, sports, or other vocation - upon hearing the goals and objectives of their immediate supervisors - will instinctively start making a plan to produce and deliver even more to ensure excellence in every key measurement. Sounds like a lot of work, right? Absolutely, however these leaders are passionate about wanting to learn and grow in their career so the extra effort is something they actually enjoy. It’s the challenge of making something better that drives them to excel. "In one moment, in an instant with one clear decision, we each have the power to change our path and begin the process of creating an entirely new and exciting future." The rewards for these overachievers can be outstanding. They are typically the first ones to be recognized and promoted to the next level of management. Their energy, ambition and quality of performance quickly establishes their credibility and no one seems surprised when they are first to move upward in the organization. List every new or innovative idea that you’ve offered to the team in the past 90 days. List basic fundamental skills that you have recently practiced in order to stay at the top of your game. What special training have you proactively registered for or taken without first being prompted by your supervisor? List your key objectives for the coming year. Explain what you’ve done already to plan for achieving/exceeding these goals. List your current year-end goals and explain if you are on target to meet those goals. Explain what you’ve done more of, less of, better or different to ensure success. The above list of team building questions is provided to point out to team members that they are the only ones that can truly control their destiny. Their daily commitment to professionalism and performance in the workplace will direct the course of their career as well as impact (for better or worse) the success of the team. Personal ownership, accountability and consistent professionalism are all leadership traits that propel highly ambitious and determined individuals to success. By leading your team through a quality discussion, and having them answer the above team building questions, you can lead your team to improved levels of performance. To download our free Team Building At Work eBook and receive answers to your most important team building questions. Access team building strategies, ideas and exercises, by simply subscribing to our free newsletter. You will immediately receive a password that grants access to our entire leadership tools library.